Changed the colors and the design of the website. The new layout allows images to be added to posts. I started using nanoc to generate this website. (I was using jekyll before.) I created helpers and layouts for nanoc to generate the same output directory structure as my previous jekyll setup. So all pages should be generated where they were before. 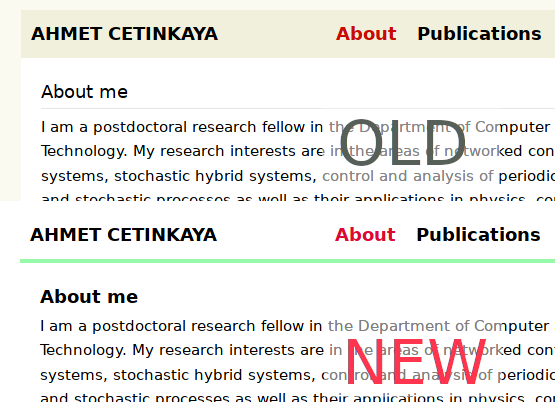 I updated the design of the webpage. In the new version, the menu is on the top for both small and large screen devices. Now there is also no home link and the active link takes a red color. Moved the website to another server. For now, it seems to be faster.